A DRIVER caught without insurance received six points on her licence. Bethan Williams, of Montague Road, North End, admitted driving in London Road, Waterlooville, without third party insurance on August 16 last year. 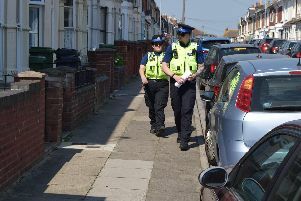 Portsmouth magistrates imposed six points on the 25-year-old’s licence after she pleaded guilty.